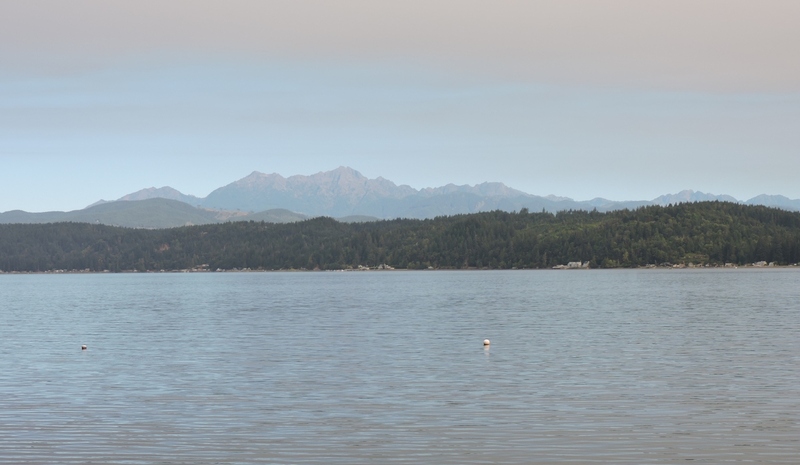 On Saturday we were up around 5 AM (still on EDT) had breakfast and headed toward Olympic National Park by 7:30 AM. 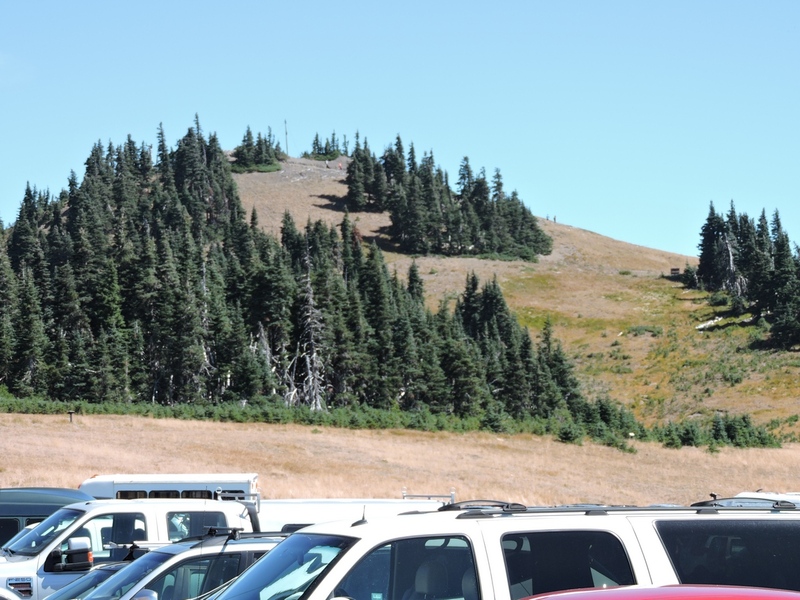 The plan was to drive route 101 all the way around the park, and we were able to do that. It took all day, including the four stops.. 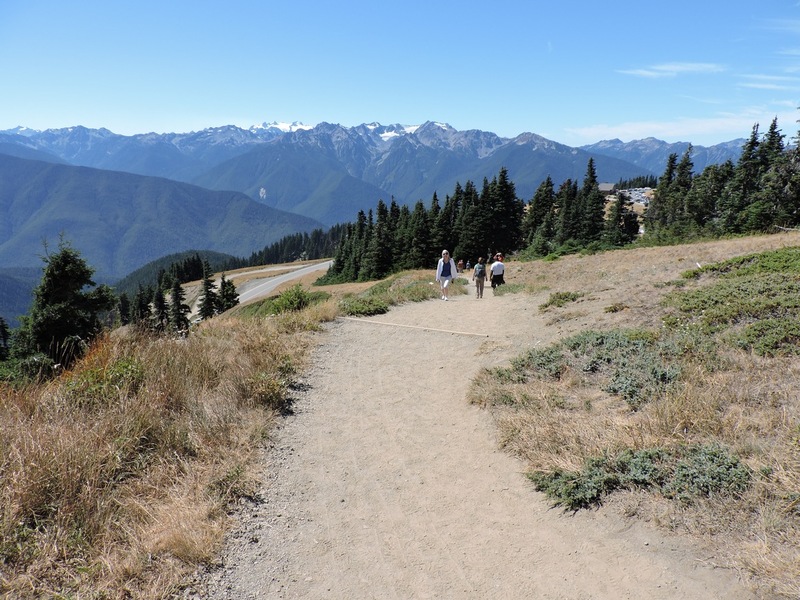 The park visitor center, Hurricane Ridge, lunch, & the rain forest. This is where the trail leads. Can we make it? This the view from the peak of our climb. We didn't go all the way to the peak of the trail though. 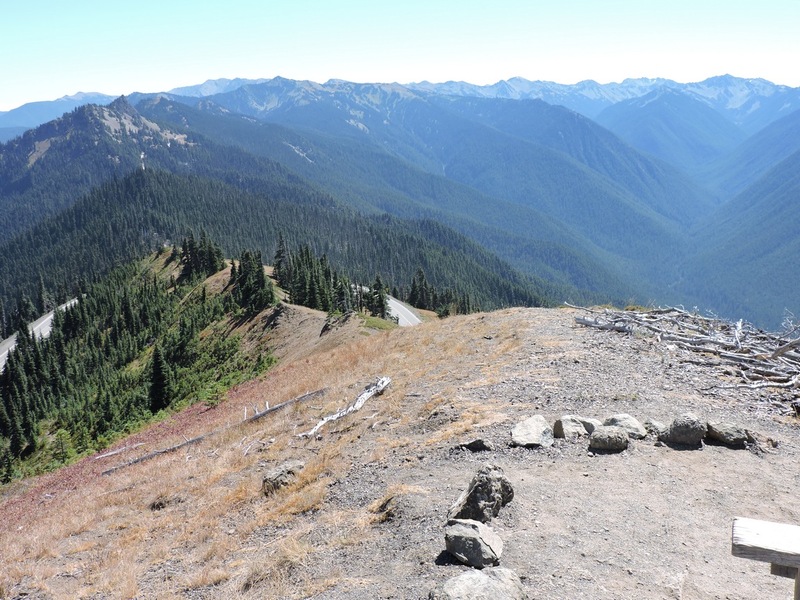 After Hurricane Ridge, we ate lunch in Port Angeles and then drove on around Route 101 to the Hoh River valley rainforest. Connie has some photos from there. I didn't find it that interesting. 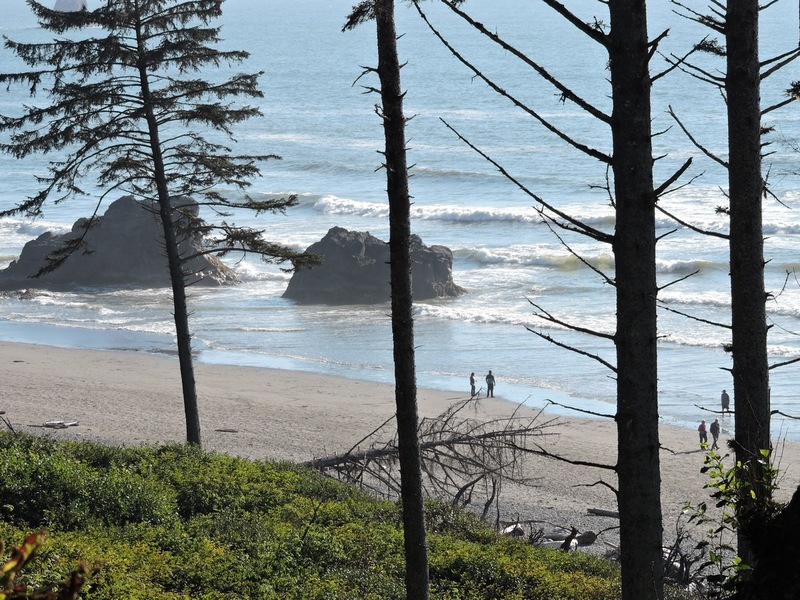 Ruby Beach, just off Route 101. You can see that this is a pretty spectacular view from the parking lot. 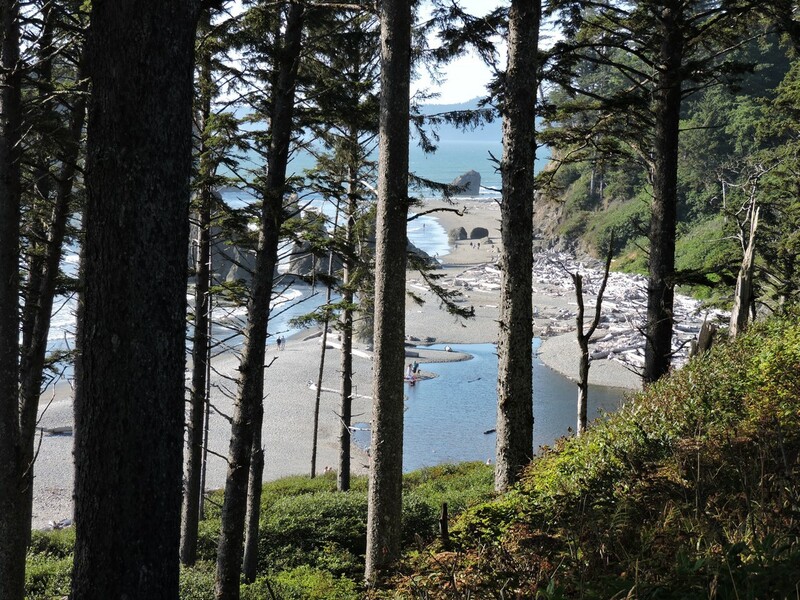 Another shot of Ruby Beach. The pedometer app on my phone says we walked 1.4 miles, but I don't think it was working when we were in the rain forest.